The US Car Tool radiator core support is made from 12ga steel (twice as thick as than the OEM sheet metal) and adds much needed stiffening to the front frame rails and inner fenders while maintaining that stock OEM look. 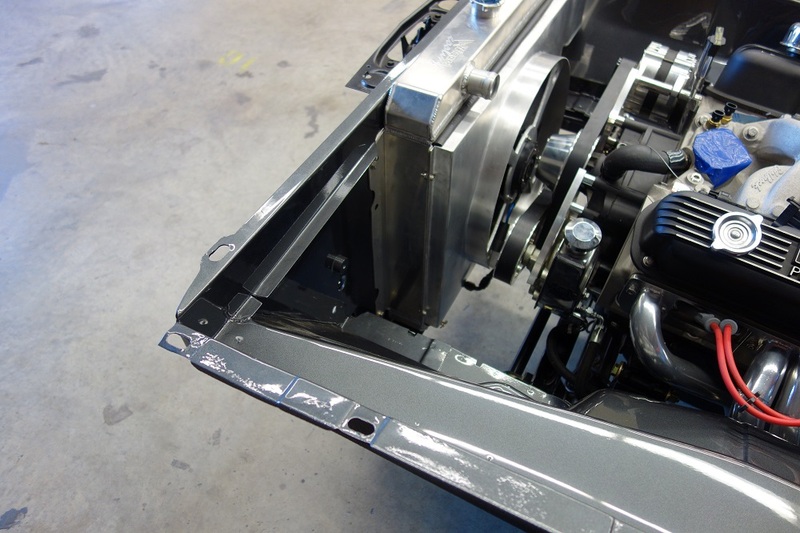 Adjustable to fit any radiator, from 22" up to a mammoth 28” wide C-Body radiator or aftermarket Aluminum radiator. 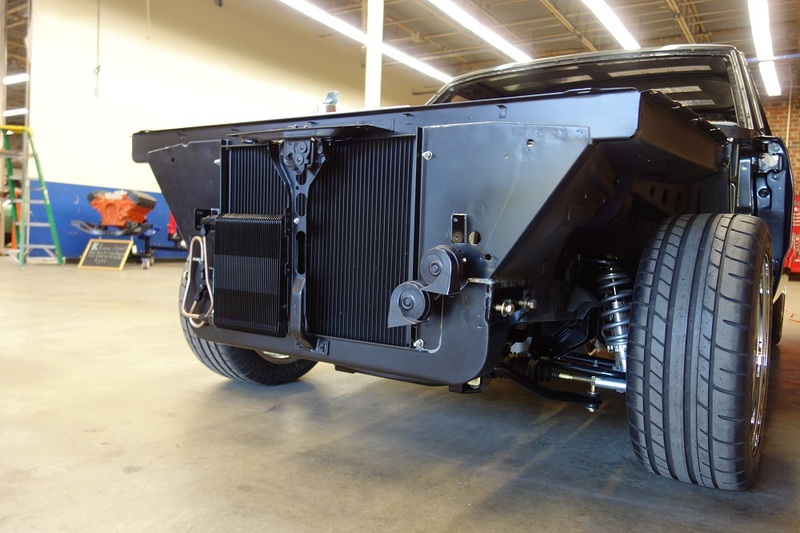 (The front frame rails are the limiting factor to radiator width on an A-Body Mopar). 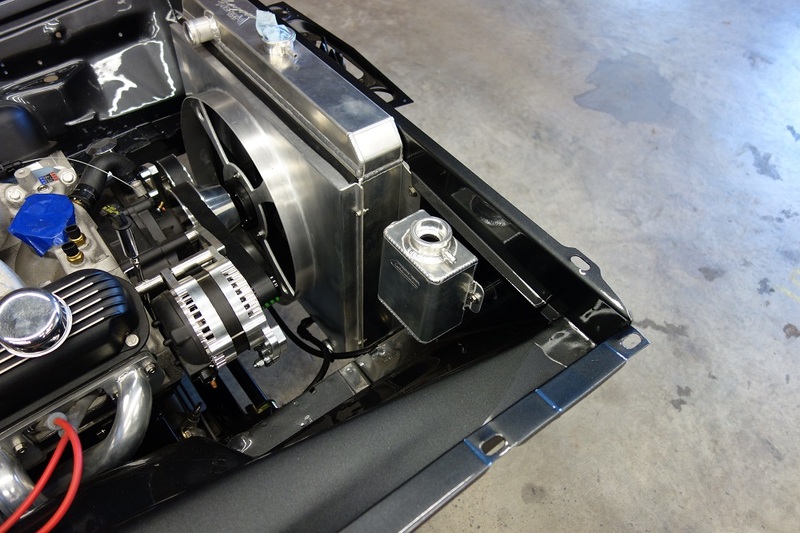 The unique design of the US Car Tool radiator core support provides an extra ¾ inch of much needed space between the radiator and the water pump to provide room for the largest of electric fans or serpentine belt drives. The US Car Tool radiator core support adds stiffness to the car’s unibody, allows you to run a large radiator and provides more clearance in the engine bay. 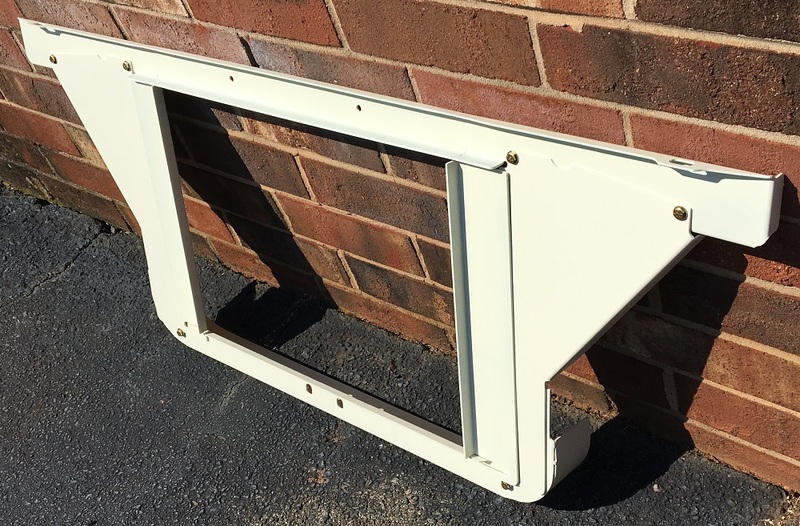 Flat Packed for lower cost shipping, requires welding and assembly. Shipping weight 25 lbs, installed weight 22 lbs. Whether at a drag race, on a road course or carving corners on the street, the US Car Tool radiator core support makes your car better.